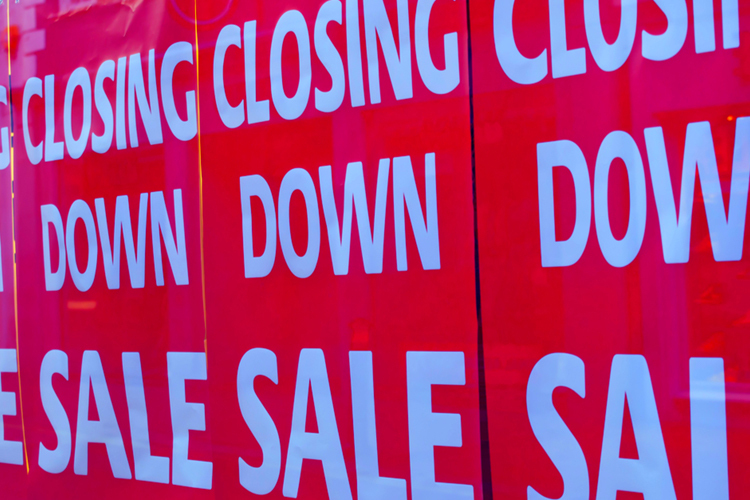 Yarra Capital Management - Anyone for a REITs 'bargain'? One of the more interesting themes from February reporting season was the rising prevalence of REITs (8% of the ASX 200) looking to offload ‘non-core’ assets. With shopping malls representing 56% of the A-REIT sector, listed owners are slowly accepting the fact that the future of shopping malls is changing and that rents/vacancies/capex/cap rates will be increasingly tested. While we do not see significant issues in tier one malls (e.g. Chadstone, Melbourne Central), there is now competition to find the ‘greater fool’ willing to buy the lowest quality assets (the tail). 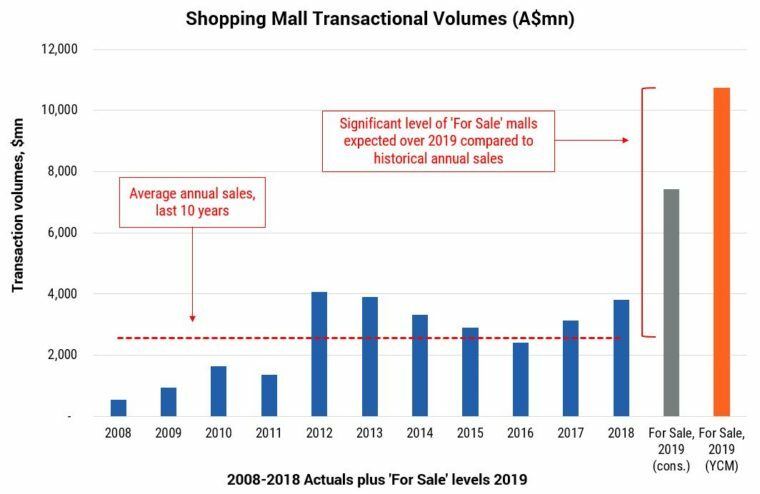 While only $2.1bn has been formally deemed ‘non-core’ and available for sale, property analysts believe there could be more than $7bn of mall assets from industry owners coming to the market in 2019, representing 3-4 years’ annual historical transactional volume (see Figure 1). We see potential for more than $10bn. More than $7bn of mall assets could come to the market in 2019, representing 3-4 years’ annual historical transactional volume. Retailer occupancy costs are now falling, with specialty retailer occupancy costs (rent/sales) moderating 10 bps to 14.2% this Dec-2018. While some landlords have been able to repurpose malls into alternate spaces (e.g. childcare, gyms and even car dealerships), it is not the panacea: conversion capex, negative foot-traffic impacts and lower rents mean conversions are not an option for many assets. With cap rates (income yields) now having dramatically compressed and the outlook now bleak, shopping mall valuations are being sorely tested. The evidence suggests we are in the early stages of the valuation de-rate. We expect most deals will be struck below book value which, given sales data is the ‘transactional evidence’ that feeds into valuations, could signal the start of the down-cycle. Measured as a percentage of A-REIT asset value. Source: JPM Research, YCM, March 2019. Source: Public company commentary, Feb 2019. Source: YCM, Citibank, JLL, March 2019. Source: Citibank, YCM, Feb 2019. Source: Public company disclosures, Feb 2019. Source: UBS, Macquarie, YCM, March 2019. Source: Macquarie Research, YCM, March 2019.